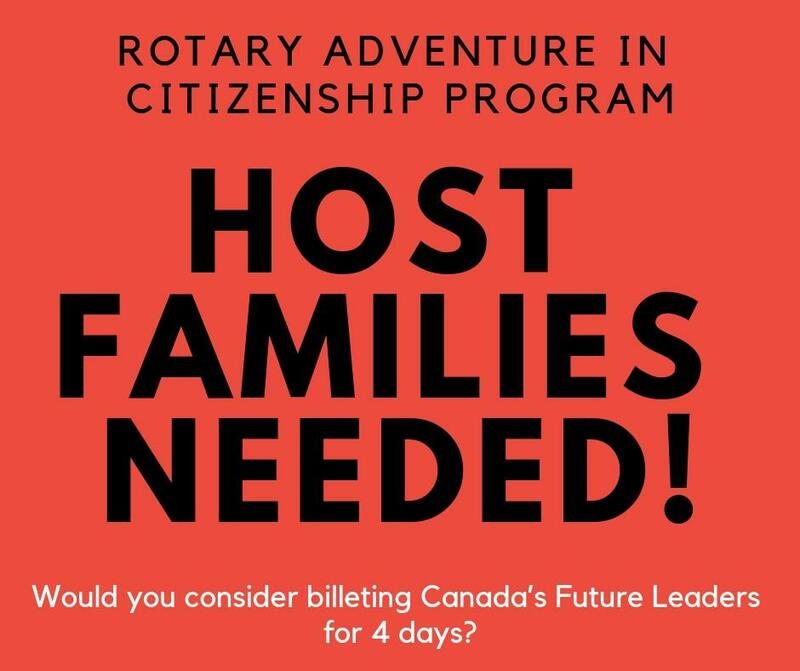 The Rotary Adventure in Citizenship Program is a 4 day program designed to develop the leadership potential of outstanding senior high school students (16 – 18 years of age) from across Canada. Students have been carefully selected and sponsored by their local Rotary Clubs. The Host Family’s responsibility is to provide BED AND BREAKFAST for TWO OR MORE guests and to ensure that your guests are transported to the morning assembly point (7:30 -- 8:00 a.m. at a downtown location) and picked up in the evening (8:00 -10:00 p.m.) at a downtown location. We can provide transportation assistance if required. The students arrive from all across Canada during the day of Saturday, April 27th.